Sheffield United have signed NEC Nijmegen striker Michael Higdon on a two-year deal for an undisclosed fee. The 30-year-old spent last season in the Eredivisie but his 14 goals were not enough to stop NEC from going down. 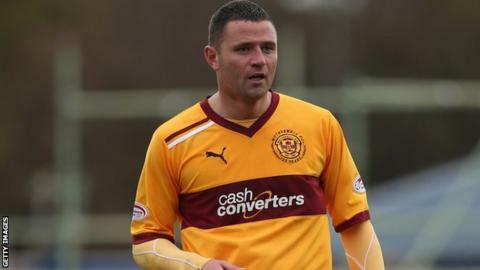 He was named the PFA Scotland Player of the Year after his 27 goals for Motherwell in 2012-13. "He scores different types of goals, he uses his left, right and head and we think the crowd will take to him," boss Nigel Clough told the club website. "If you look at the quality of crosses we've put in over the pre-season period, it should be of major benefit to Michael. "He's 30 years old, experienced and began at Crewe so is technically sound. Michael will be a major asset to us."